Mother Nature provides us with different types of foods in different seasons, and it has been done ideally to benefit us. In winter, we have soups, stews, meat, grains etc that provides high fat and protein. In spring and summer, Nature provides us foods that are low on fat, like leafy green veggies, sprouts and berries. Everyone likes to eat tasty snacks and foods, but bad eating habits, like consumption of too much fatty, fried or oily food, results in the person getting overweight. Sadly, in the United States, two-thirds of adults are overweight. Additionally, getting overweight also worsens cases like diabetes, arthritis, osteoporosis, and can also affect vision. We should have a diet that not only detoxes our body, but also keep us healthy, active and does not fat to accumulate our body. As abovementioned, summer provides us fatless foods naturally. With a correct diet (https://hcgdietteam.com/recipes/), it is possible to control weight. No doubt, diet control and exercise are effective and proven methods, but something additional is also needed to get the maximum benefits from such initiatives in reducing weight. hCG came into attention with the works by the British endocrinologist, Albert T. W. Simeons in the 1950s. He carried out experiments and research works on hCG hormone and low calorie weight-loss diet program, in order to show that the hCG hormone acts on the hypothalamus (an area at the underside of brain) to utilize the stored body fat as energy. This would naturally cause the person to lose weight; and this theory boosted the confidence in the persons who sought to reduce their body weight. hCG drops are prepared by diluting the hCG hormone using the standards of homeopathy, which results in “homeopathic hCG”. Although in this process, the hCG hormone is diluted, but the power of the liquid solution obtained actually increases manifold and becomes very effective in reducing weight. If homeopathic-hCG is administered with a low calorie diet, the results are highly beneficial in treating obesity. Moreover, in the process, the fat gets dissolved but the body tissues or muscles are not harmed. There are no known side-effects with this procedure. hCG is taken as intravenously, or as serum drops under the tongue. 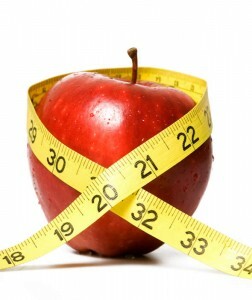 If necessary steps for correcting obesity are not taken in time, there can be health complications, such as arthritis. It proper measures are not taken timely, the case will worsen foe example, in advanced cases, surgery like bariatric (gastric bypass) surgery may be carried out to reduce the excess fat. hCG comes as a trusty answer to safely reduce weight with no side effects. hCG makes the body effectively convert fat into energy, and even if the person is on a low-calorie diet, he would not feel tired or lethargic.